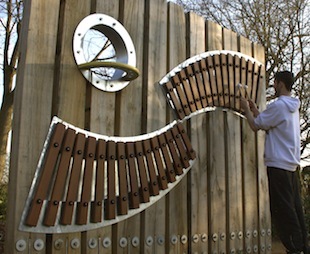 Award-winning bespoke musical installations and interactives suitable for public spaces, parks, playgrounds, sensory gardens and museums. 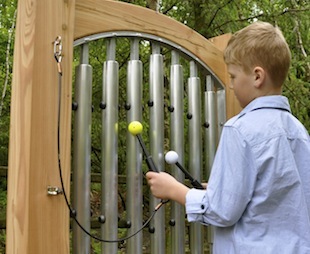 "Sculptural instruments of the highest quality...one of the highlights of our new gardens"
A range of outdoor musical instruments designed by musicians and teachers for schools, nurseries and children's centres. 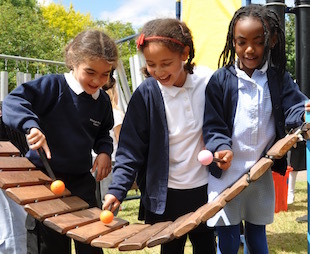 "The quality of the workmanship is wonderful and they sound fantastic too"
A unique musical playground built from recycled materials for hire at festivals, family events and schools. "An absolute hit...we'd love to have you back next year."